The Place to Buy Restaurant Make-Up Air Fans for Commercial Kitchens, Fast & Easy, Online! 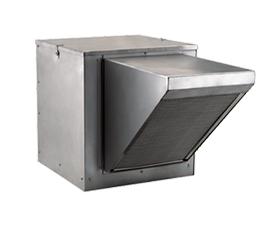 The REFSF7 Make-Up Air Fan is recommended for commercial restaurant hoods that are between 11′ and 12′ using medium duty equipment. Roof Curb – FREE Flat and Wall mounting curb included. Or add a pitched roof curb for just $100. Flat and Wall mounting curb included for FREE. Or add a pitched roof curb for just $100. Just select your Wall or Roof Curb below and you’ll be taken to a secure form on the HoodMart site to complete your purchase. If you have any questions, please call us at 1-800-715-1014, we are here to help.